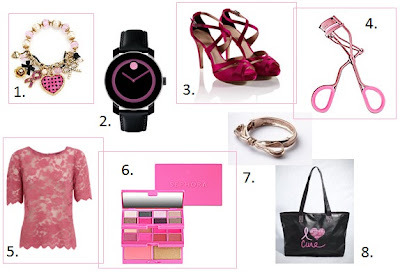 Babblings of a Mommy: Think Pink! Support Breast Cancer Awareness With These Great Products. Think Pink! Support Breast Cancer Awareness With These Great Products. Breast Cancer Awareness Month is an annual international campaign that takes place every October. This month raises awareness about Breast Cancer and helps educate us about the cause, prevention, treatment, and cure. It's so important as women to do our part and be informed on all ways to prevent and detect signs of breast cancer, but also to support and encourage those who are fighting this vicious disease. Hopefully you’ve taken some time out to donate to your favorite charity. If you haven’t you can always indulge in some of these amazing products which all offer proceeds of their sales to various charities. I'm loving the look of that palette! I love shop for a cause. Such great stuff and so easy to donate.